My name is Jillian McDonnell, and I am the designer and fabricator of each and every Jill Mac piece. 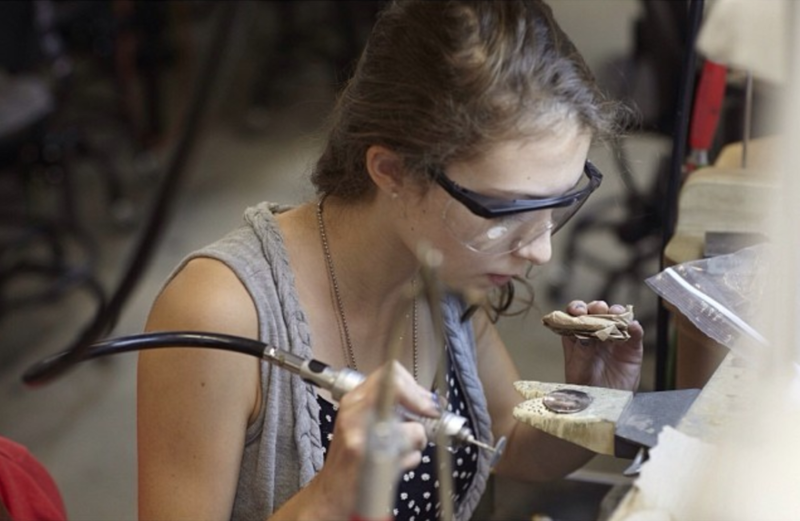 I fell in love with the jewelry process back in high school at the age of 14. Seeing how the long hours of hard labor using hammers and the flame of a torch could result in the most delicate, shiny treasure immediately excited me. I followed this passion from high school into college, attending the Fashion Institute of Technology, receiving my degree in Jewelry Design. Now living back in Westchester, New York, I have built a home studio and have started designing my own line. I believe metal is one of the greatest art mediums out there, and I think my pieces illustrate how transformative metal can be. I use a mix of traditional methods (wax carving and metal fabrication) and modern methods (3D modeling and printing) in order to make future heirlooms for today's customer: the beautiful and bold. To be able to make my wearable art for you is a delight. Enjoy!